Cash flow is often an issue for new ventures so it should come as a welcome relief for new Marine Traders looking for insurance that low-cost options are available to them that don’t compromise on quality of cover. Marine Trades Insurance specialists Insurance Risk & Claims Management Ltd (IRCM) are offering entry level cover from as little as £261 and are also providing some low-cost bolt-ons to ensure traders get maximum value for money. Pressure is being put on traders – particularly mobile marine engineers – to have increased Public Liability Indemnity limits. An increasing numbers of marinas and local authorities are insisting that traders have a minimum indemnity limits of £5 million which means higher insurance costs for traders – even more so if they utilise any heat processes. 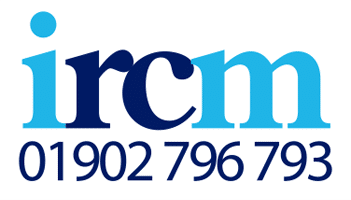 IRCM is providing such cover from under £360 to assist new businesses. A comprehensive insurance programme for a Marine business can be quite complicated with many new products coming onto the market that can help protect the bottom line of a business or the liabilities of the directors. Mark went on to say “Insurance protection is a building-block system with cover such as Directors & Officers Liability, Excess Protection and Legal Expenses as well as traditional insurances for liabilities, boats, tools, equipment and premises form part of the overall system of protection. IRCM is able to provide low-cost entry level protection to ensure start-ups have at least some protection in place for those areas where they would have been left exposed due to sacrificing cover due to cost”.